LG Display will now be making OLED panels for Apple’s iPhones, with a new report claiming that the first batch will be ready before the release of the new generation lineup in the month of September. Naturally, this will decrease Apple’s dependence on Samsung, which is currently the only supplier of OLED display for the iPhone X. However, LG might not unseat Samsung as the exclusive display supplier of Apple for the upcoming iPhone generation, but it will certainly allow Apple to negotiate more with Samsung. According to Bloomberg, LG Display will make around 2 to 4 million OLED units, but the output is projected to increase in the coming months. There is a possibility that Apple will procure OLED displays for one of its two OLED iPhone models from LG and Samsung will supply panels for the other model. iPhone X’s OLED panels are apparently the most expensive component of the phone and Apple wasn’t able to convince its sole supplier Samsung to bring the price down, which is one of the reasons why the base storage model costs a hefty $999. Apple might not part ways with Samsung once LG’s capacity increases. However, having two suppliers will enable Apple to negotiate better prices for the new iPhones. It will also increase the adoption rate of OLED displays. More suppliers would mean more volume, which will translate into lower prices in the end. Even though LG has started manufacturing OLED panels, it doesn’t mean they will be used by Apple right away. LG needs to obtain two different approvals before getting a go-ahead from Apple and the first one is expected in July. 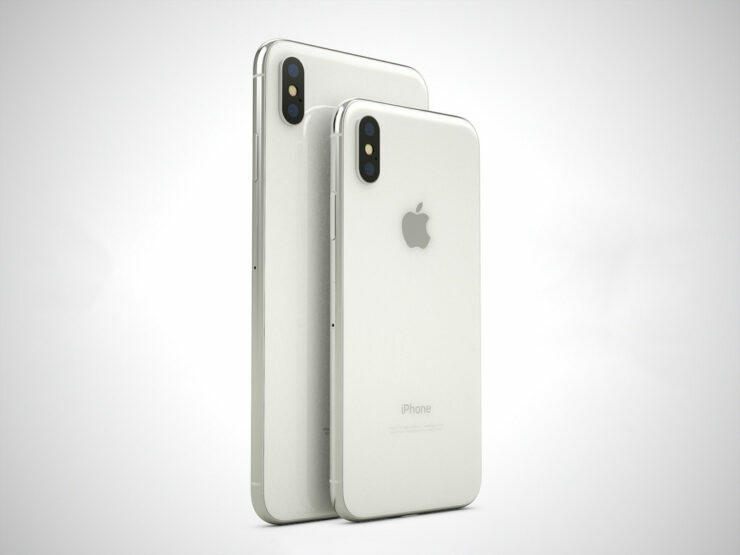 There are more chances of the manufacturer’s panels being used in the 2019 iPhone lineup, meaning that these could be even cheaper compared to their predecessors. As most of you know, Apple is expected to unveil its new iPhone series in September. Two of these smartphones will sport OLED panels, and the third one will be a more affordable version of the family since it will feature an LCD screen.